The Bachelors Program is the level of training available to anyone who has completed Commissioner Basic Training and holds a current BSA Youth Protection training certificate. This training will offer a series of 8 courses that will build upon your Basic Training skills. The Master’s program is advanced training that would follow completion of Bachelor of Commissioner Service degree or another recognized BSA College of Commissioner Service, and holds a current BSA youth protection training certificate. 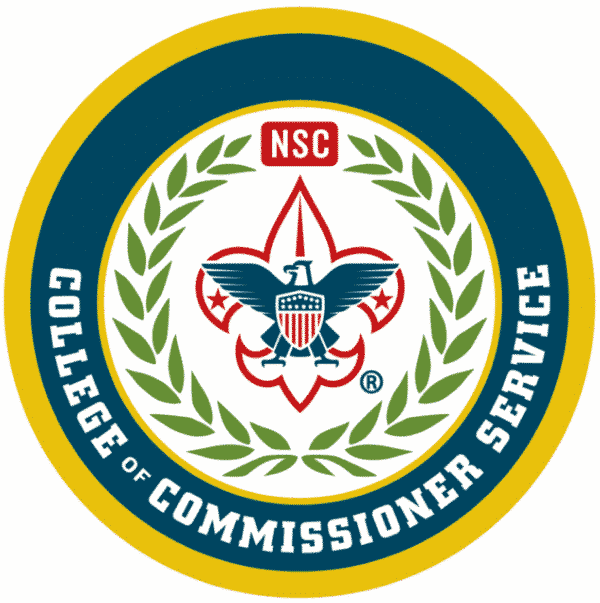 Complete a minimum of 16 total courses of instructions from this College or another recognized BSA College of Commissioner Service, including the core and elective courses specified for the Masters Degree curriculum, and be recommended for the degree by the Dean of the Masters Program. You must take the five core courses and three electives. All Roundtable Commissioners and team members will benefit from a full day of training to help promote, staff and build successful roundtable programs for Pack, Troop and Venture Crew programs. The Roundtable Master’s program is advanced training that follows completion of the Bachelors in Roundtable Service program. This program offers 8 hours of classes to further enhance the ability of Roundtable Commissioners to deliver quality roundtables in support of unit programs. This full day Unit Commissioner Basic Training course will discuss what a commissioners is, what a commissioner does and how a commissioner does it. This course will cover the following areas: 1. The Commissioner Service Role, 2. Supporting the Unit, 3. Role of the District, 4. Unit program planning, 5. Inspire Coach connect, 6. Understanding Journey 2.0, 7. Unit review and reflection, 8. Unit Charter Renewal Process, 9. Next steps to success. Please see attached booklet for more details on classes and map.